There are many ways in which you can synchronise two folders between machines in Windows XP. You could use the Microsoft SyncToy or other file browsers with sync functionality. They will all do the job but I have not yet found a setup that works as well as offline files. The advantage of using offline files is that it is automatic. The documents will show up instantly on both machines (as long as there is a network connection) even though the syncing only occurs as the machines are booted up and shut down. This document will show you how to synchronise your “My Documents” folder between two machines. Synchronising your “My Documents” is particularly useful if you have a desktop and a laptop. You can take your documents from your desktop with you on the road with your laptop. 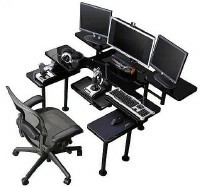 This is also suitable if you have multiple computers in your home and would like the documents to be the same on all machines, so you are not fighting with your family over which computer you need to use as all the computers will have your documents. One of the most frequent questions I am asked by friends and family which have little computer experience, is what type of computer they should buy. Due to the huge range available, and the multiple uses that may or may not be involved, there can be no simple answer. It is very easy to go to the shop and spend a lot of money on a computer. But this may well be more powerful than you really need and a waste of your hard earned dollars. You can buy complete computer systems for under $1000, and you can also spend well over $10,000; but what will the benefits be? In any case, this is never going to be a small investment, so it’s important to make sure you get what you want. Back to the basics: Part one of this article will cover some initial questions you should ask yourself when planning the purchase of a new PC. Part two gives you a brief rundown of the individual components that make up a computer system itself. This article is written for Australian consumers though I expect much of the information would be relevant for people from around the world. The main difference would be what computers are available from the different shops. 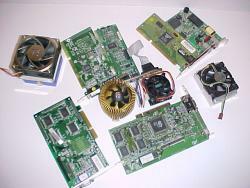 Following on from “How to: Buy a new computer – Part I“, which covered some initial questions you should ask yourself when buying a new PC, you should have an understanding of what you would like to do with your new computer and have an idea of what type of computer you are after. If you have not yet checked out part one, please do so before reading this article. This section of the article we will break down the components of a computer system and show you what is important for the tasks you want to achieve with your new computer. By the end of this article, you should be armed with enough information to feel comfortable going to the shop and making your purchase.